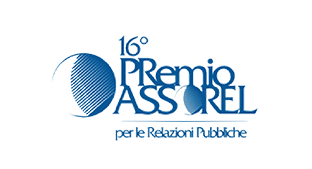 16TH ASSOREL AWARD – CORPORATE COMMUNICATIONS. MONTALCINO AND BRUNELLO. UNIQUE IN THE WORLD. The Brunello di Montalcino Consortium is an association of the 250 winemakers who produce this famous Tuscan wine, which is admired worldwide. The Brunello brand is about more than an iconic wine, however, also being a symbol of local and cultural excellence that has the potential to attract the attention of media dedicated to lifestyle, current affairs, leisure and traditions as well as to wine. To strengthen and consolidate the imagine of Brunello and the Montalcino area, going beyond the wine itself. The image of Brunello was linked to the outstanding qualities of the land in which it is grown, conveyed through a campaign that targeted media relations and events for opinion leaders, with an integrated plan of initiatives on the Web, on the radio and TV, and in international tourist guides.